New Seattle Seaplane Service Launches April 26th! Harbour Air is thrilled to announce a new seaplane service between downtown Vancouver and downtown Seattle, launching Thursday, April 26, 2018! In a joint venture with Seattle-based Kenmore Air, the new one-hour route will be Harbour Air’s first international scheduled service, offering two daily round-trip flights, Monday through Friday. Flights are now available for purchase online, in person or by phone (1.800.665.0212 or 604.274.1277). Connecting the two cities’ downtowns, the initial spring schedule will include two morning and afternoon flights between Harbour Air’s Coal Harbour terminal in downtown Vancouver and Lake Union in downtown Seattle. The service will also offer an additional stop at Kenmore Air’s Seaplane Base on Lake Washington. 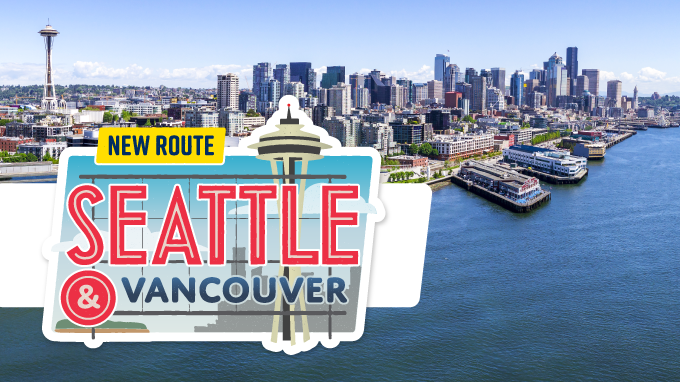 The new route will allow passengers to travel quickly, easily and conveniently between Seattle and Vancouver, saving hours in driving and traditional airport travel time. Border control will be available upon landing for efficient processing, allowing travellers to maximize their time across the border. Click here to read the full media release. For more information and details on the Seattle seaplane service see our frequently asked questions below. For more information, call one of our friendly reservations agents at 1.800.665.0212 or click here to book now!